Wind power is a monumental failure: not just costly and chaotic, the claim that it amounts to a meaningful power source is pure nonsense. Notorious examples like South Australia, prove the point: this is the state that set and met its own 50% renewable energy target, became renowned as the wind power capital of Australia, and infamous for suffering the only state-wide blackout in Australian history (so far). Oh, almost forgot, South Australians pay the world’s highest power prices, too. But, why just focus on a single example? When the fact that wind power cannot and will never replace conventional generators – such as coal, gas, hydro and nuclear – is universal. John Droz has done it before and here he does it again. 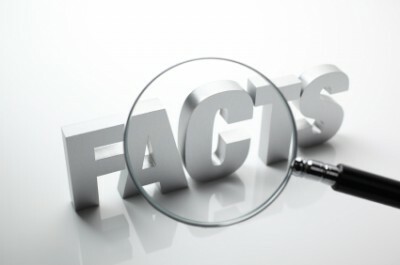 Set out below, Droz lines up the top 25 wind industry lies and myths and crushes every one. TRYING to pin down the arguments of wind promoters is a bit like trying to grab a greased balloon. Just when you think you’ve got a handle on it, it morphs into a different story and escapes your grasp. Let’s take a quick highlight review of how things have evolved with merchandising industrial wind energy. 5 – It wasn’t too long before utility companies and independent energy experts calculated that the actual CO2 savings were minuscule (if any). This was due to the inherent nature of wind energy, and the realities of necessarily continuously balancing the grid, on a second-by-second basis, with fossil-fuel-generated electricity (typically gas). The frequently cited Bentek study (How Less Became More) is a sample independent assessment of this aspect. (For other examples, see here and here.) More importantly, there has been zero scientific empirical proof provided by the wind industry to support their claims of consequential CO2 reduction. Studies cited by the wind industry (about wind energy’s CO2 savings) are almost always computer models. As a person who has written some 100,000 lines of code, I can assure you that it’s easy to make a model that “proves” that pigs can fly. Models may be appropriate where there is no actual data. Since there are a few hundred thousand turbines in operation worldwide, there is empirical data here. If CO2 is genuinely being saved, the wind industry should be able to show real data. 6 – Apparently suspecting that the CO2 deception would soon be exposed, the wind lobbyists took pre-emptive action, and added another rationale to prop up their case: energy diversity. However, since our electricity system already had considerable diversity (and many asked “more diversity at what cost?”), this hype never gained much traction. Back to the drawing board…. None of these ads mentioned that only about 1% of our electricity is generated from oil. Or that the US exports more oil than we use for electricity. Or that our main import source for oil is Canada (not the Middle East). Despite the significant omissions and misrepresentations, this claim still resonates with many people, so it continues to be pushed. Whatever works. 8 – Knowing full well that the assertions used to date were specious, wind proponents manufactured still another claim: green jobs. This was carefully selected to coincide with widespread employment concerns. Unfortunately, when independent qualified parties examined the situation more closely, they found that the claims were wildly exaggerated. Big surprise! See a very detailed critique of the jobs situation (regarding the PTC). Listed there are TEN major reasons why using jobs as an argument is not appropriate or meaningful. Additionally there is a list of some 45 reports written by independent experts, and they all agree that renewable energy claims are based on numerous fallacies. Lastly, it is the number of jobs per MWH produced that should be examined. This study concluded that it took 7± wind energy jobs to produce the same amount of MWH as one fossil fuel worker could. Why is that a good thing? 9 – Relentlessly moving forward, wind marketers then tried to change the focus from jobs to “economic development.” The marketers typically utilized a computer program called JEDI to make bold economic projections. Unfortunately, JEDI is a totally inadequate model for accurately arriving at such numbers, for a variety of technical reasons. The economic development contentions have also been shown to be inaccurate, as they never take into account economic losses that result from wind energy implementation – for example agricultural losses due to bat killings, and job losses due to higher electricity costs for factories, hospitals, and numerous other employers. Additionally, as with jobs, economic development in-and-of-itself has nothing to do with the merits of wind energy as a power source. Let’s say we make up a transportation RES mandating that 20% of a state’s vehicles be replaced by horse power by 2025. There would be a LOT of “economic development” (making horse carriages and buggy whips, building horse barns, growing and shipping hay) that would result from such an edict. But would that be any indication that it is an intelligent, beneficial policy? 10 – Along the way, yet another claim began making the rounds: that wind energy is low cost. This is surprisingly bold, considering that if that were really true, RES/RPS mandates would not be necessary. For some reason, all calculations showing wind to be “low cost” conveniently ignore exorbitant subsidies, augmentation costs, power adjusting (see next item), additional transmission costs, and so on. Independent analyses of actual costs (e.g. here) have concluded that (when ALL applicable wind-related costs are accurately calculated) wind energy is MUCH more expensive than any conventional source we have. 11 – A subtle (but significant) difference between wind energy and other conventional sources of electricity is in power quality. This term refers to such technical performance factors as voltage transients, voltage variations, waveform distortion (e.g. harmonics), frequency variations, and so forth. The reality is that wind energy introduces many more of these issues than does a conventional power facility. Additional costs are needed to deal with these wind-caused problems. These are rarely identified in pro-wind economic analyses. 12 – Throughout this history, wind lobbyists paid considerable attention to linguistics. It’s not an exaggeration that a good portion of their success is directly attributable to their successful inclusion of purposefully misleading terms into the vernacular. For example, the phrase “wind farm” is intended to convey a pastoral, environmentally benign impression — whereas the reality is that a wind facility is an industrial complex. “Clean energy” is another dishonest characterization for similar reasons. Citizens defending their rights against this scourge, should religiously avoid using all of these misleading terms. 13 – When confronted with the reality that wind energy is considerably more expensive than any conventional source, a common rejoinder is to object to that by saying that once the “externalities” of conventional sources are taken into account, wind is less expensive than those conventional sources. To gullible sheeple, this might make sense. But consider the following two points. First, externality analyses posited by wind zealots never take into account the true environmental consequences of wind energy (rare earth impacts [see below], human health effects, bird and bat deaths, the CO2 generated from a two million pound concrete base, etc.). Second, the “externalities” for things like fossil fuels are always only the negative part. If these advocates want a true big picture calculation, then they need to also add in the benefits to us from low-cost fossil fuels based electricity. Considering that fossil fuels played a major part in our economic success and improved health and living standards over the past century, such a plus factor would be enormous. 14 – Although they would like to avoid it, wind developers almost always have to deal with local communities. Their universal pitch to these “host” communities is that the proposed wind project will be a financial windfall. Their plan is based on the fact that most citizens (and their representatives) are technically challenged, so they will not be aware of the realities of wind energy and their real costs. Since most of the rural communities they target are economically strapped, the developers count on the enticement of a million± dollars a year as enough to swing the deal. However, if citizens (and their representatives) actually investigate this matter in some detail, they will find that numerous independent experts have concluded that there are multiple possible economic liabilities that are attached to these projects. To simplify this research, we have identified ten (10) different matters that could be a financial detriment. Interestingly, when the numbers from both side of the equation are added up (e.g. here) the NET result is almost always negative. 15 – A key grid ingredient for all of our electric energy sources is Firm Capacity. (A layman’s translation is that this is an indication of dependability: e.g. can we count on this being available next Monday at 3 PM?) Conventional sources (like nuclear) have a Firm Capacity of nearly 100%. Wind has a Firm Capacity of about 0%. Big difference! 16 – Since this enormous Firm Capacity discrepancy is indisputable, wind energy apologists then decided to adopt the strategy that wind energy isn’t a “capacity resource” after all, but rather an “energy resource.” Surprisingly, this may be the first contention that is actually true! But what does this really mean? The reality is that saying “wind is an energy source” is a trivial statement, on a par with saying “wind turbines are white.” Lightning is also an energy source. So what? The fact is that your cat is an energy source too. In this Alice-in-Wonderland reality, connecting the cat to the grid (after heavily subsidizing it, of course), makes as much sense as does connecting puff power. 17 – Wind marketers then hit on a new tactic: that we should use wind because it is a plentiful resource. This is a strategy based on a part truth: that we should be utilizing energy sources that are abundant, reliable, and low-cost. However, there are two major deficiencies in this thinking. First, abundant sources that are not reliable, and that are not low-cost (i.e., wind energy), are a net detriment to our economy. Second, if they are really saying that abundance should be our primary focus, then they should be promoting nuclear power and geothermal energy. Both of these sources have something like a million times the available energy that wind energy does. Additionally, both of those are orders of magnitude more reliable than wind is. Also, both are lower cost when comparing the actual levelized cost of wind energy (e.g., Wind+Gas). a) It is totally hypocritical to have wind advocates attacking fossil fuels as unsustainable, when the wind business has an ENORMOUS dependency on fossil fuels for their construction, delivery, maintenance and operation. This article explains some of it. b) Nothing is sustainable, as this piece accurately explains. c) Wind energy is our LEAST sustainable option! 19 – A related pitch is that our adoption of wind energy will help us break “our fossil fuel dependence.” Guess what? The reality is that wind actually guarantees our perpetual dependence on fossil fuels! In addition to wind turbines’ dependence on fossil fuels for manufacture, delivery and maintenance, the only way wind energy can quasi-function on the grid is to have it continuously augmented by a fast responding power source – which for a variety of technical and economic reasons is usually gas. It’s rather amusing that the same environmental organizations that support wind energy are also against shale gas. That’s like saying that you love Italian food but hate tomato sauce. The two are paired together like Fred Astaire and Ginger Rogers. 20 – The claim that wind energy is “green” or “environmentally friendly” is laugh-out-loud hilarious – except for the fact that the reality is not funny at all. Consider just one part of a turbine, the generator, which uses considerable rare earth elements (2000± pounds per MW). 21 – Modern civilization is based on our ability to produce electrical POWER. Our modern sense of power is inextricably related to controlled performance expectations: when we turn the knob, we expect the stove to go on 100% of the time – not just on those wildly intermittent occasions when the wind is blowing within a certain speed range. Underlying a lot of the wind lobbyists’ claims is a carefully crafted, implied message that there is some kind of wind energy “equivalency” to conventional sources. This assumption is the basis for such assertions that XYZ wind project will power 1,000 homes. Such claims are totally false. They are dishonest from several perspectives: the most obvious error being that XYZ wind project will NEVER provide power to any 1000 homes 24/7. It might not provide power for even one home 24/7/365! Yet we see this same “equivalency” message conveyed even more subtly on EIA tables for levelized costs. Wind and conventional sources should not be on the same table, but they have been (defended only by a small footnote). One useful analogy is to consider the cost, speed, reliability and load capacity of a single eighteen-wheeler truck in making weekly cross-country deliveries of furniture, heavy equipment or other large products. This semi-truck is equivalent to a nuclear plant. In energy generation terms, the wind turbine equivalent is to attempt to replace the single truck with golf carts. How many golf carts would it take to equal the cost, speed, reliability and load capacity of a single eighteen-wheeler in making weekly cross-country deliveries? This is a trick question, as the answer is that there is no number that would work: not ten, not a hundred, not ten thousand, not a million. Exactly the same situation exists in the electricity sector: no number of turbines will ever equal the cost, reliability and output of one conventional electricity plant. 22 – A close cousin of the prior illegitimate contention is that “The wind is always blowing somewhere, so spreading wind projects out will result in a combination that has a dependable output.” Like essentially all the wind industry mis-infomercials do, this bald assertion has a soothing, reassuring ring. However this marketing claim is unsupported by any empirical, real-world evidence. For instance, in southeastern Australia about 20 wind projects are spread out over a single 1000± mile long grid. Yet the combined result in no way even approximates the consistent dependable performance of our primary conventional sources. Again, our modern society is based on abundant, reliable, affordable electric power. 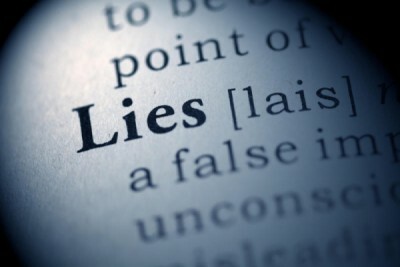 All these specious claims for wind energy are simply part of a long line of snake oil sales spiels – intended to fool the public, and to enable politicians to justify favoring special interests by enriching various rent-seekers (which will then return the favor via campaign contributions and other reelection support). 23 – There are several serious liabilities with wind energy, and one is the adverse effects it has on the health of proximate citizens. The number one cause of these health problems is the incessant infrasound generated by the turbines. Here are some pertinent sample health studies, done by independent experts. Wind advocates disingenuously employ a sleight-of-hand tactic to dismiss noise complaints by claiming that “wind turbines don’t make any more noise than a refrigerator.” The fact is that the main acoustical concern with wind turbines is the infrasound generated — which is below our level of hearing. So discussing the audible part of turbine noise, purposefully distracts from the serious inaudible (but still very much experienced) noise issue. 24 – When it comes to wind energy, state agencies that actually fulfill their Statutory requirements, and act consistently with their Mission Statement, are an endangered species. Wind developers have been able to get away with the travesties identified herein, have done so as they have has a willing accomplice: state agencies. The reason that these agencies don’t due their job is quite simple: their jobs depend on the support of politicians — the same people who are passing such nonsense as a state RPS. Departments of health, commerce, agriculture, etc can read the tea leaves: don’t speak out against wind or solar, as they are currently politically favored. This too shall pass. 25 – It’s bad enough that wind energy is a burden to the electric grid, ratepayers, taxpayers, nearby residents, farmers, local businesses, and the environment, but now it is undermining our national security. There have been multiple types of conflicts, ranging from tall structures obstructing low-level flight paths, to weather and navigation radar interferences, to specialized cases (like deteriorating the important ROTHR facility, and having infrasound compromise sensitive military equipment). The wind industry’s predictable response is that this is an imagined problem, as the DoD Wind Siting Clearinghouse fully protects the interests of the military. Guess what? This answer has the same credibility as their dodge-ball responses to all the other issues identified here. For more information see this overview summary. They get away with this scam primarily for three basic reasons. a) Wind proponents are not asked to independently PROVE the merits of their claims before (or after) their product is forced on the public. b) There is no penalty for making bogus assertions or dishonest claims about their product’s “benefits,” so each successive contention is more grandiose than the last. c) Promoting wind is a political agenda that is divorced from real science. A true scientific assessment is a comprehensive, objective evaluation with transparent, real-world data. Instead we get carefully massaged computer models and slick advertising campaigns, which are the mainstay of anti-science evangelists promoting political agendas. So, in effect, we have come around full circle. A hundred-plus years ago, wind energy was recognized as an antiquated, unreliable and expensive source of energy – and now, after hundreds of billions of wasted tax and consumer dollars, we find that (surprise!) it still is an antiquated, unreliable and expensive source of energy. This is what happens when science is relegated to a back-of-the-bus status. Let’s see the real world evidence for the lobbyists’ wind energy case. I’m weary of these relentless projections, uncontaminated by reality. In a nutshell, what these profiteers are seeking to do, through methodological legerdemain, is to make wind appear to be what it is not. This is a plot lifted out of Cinderella and her step-sisters, or the Emperor’s New Clothes. It’s really a story of class aspirations, but one that is bizarrely twisted: giving wind a makeover to make her seem fetching and comely, when in fact she’s really a frog. When you hear that wind opposition is all about NIMBYs, think about the above points, and then reflect on what NIMBY really means: The Next Idiot Might Be You. But consider the sources. When a major turbine manufacturer calls a catastrophic failure like a blade falling off component liberation, we know we are in for an adventurous ride in a theme park divorced from reality. See WiseEnergy.org and EnergyPresentation.Info for more detailed explanations, including charts, photographs, entertaining graphics, and numerous references. I thought Nimby meant “Not in my back yard”. When you think about it though most promoters of wind power would scream blue murder if it was proposed that these monstrosities be put in their back yard, ie neighborhood.